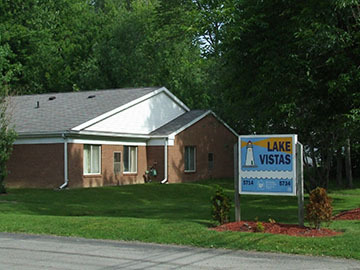 Lake Vistas was built in 1995. 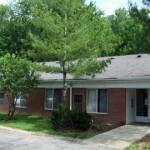 The two buildings each have 12 units (10 one-bedroom and 2 two-bedrooms), a laundry room, and a trash room. Lake Vistas also has an outdoor porch with picnic tables and grill. Lake Erie and Mentor Beach Park are about a quarter mile north of Lake Vistas on Andrews Road. Less than a mile south of Lake Vistas is a shopping center with restaurants, grocery store, banks, and other shops.